American DJ Event Pod System DJParts - All Variety of Parts that DJ Needs. The ADJ Event Pod System is a set of four compact, lithium battery powered lighting fixtures that will add pure lighting excitement to any party atmosphere. 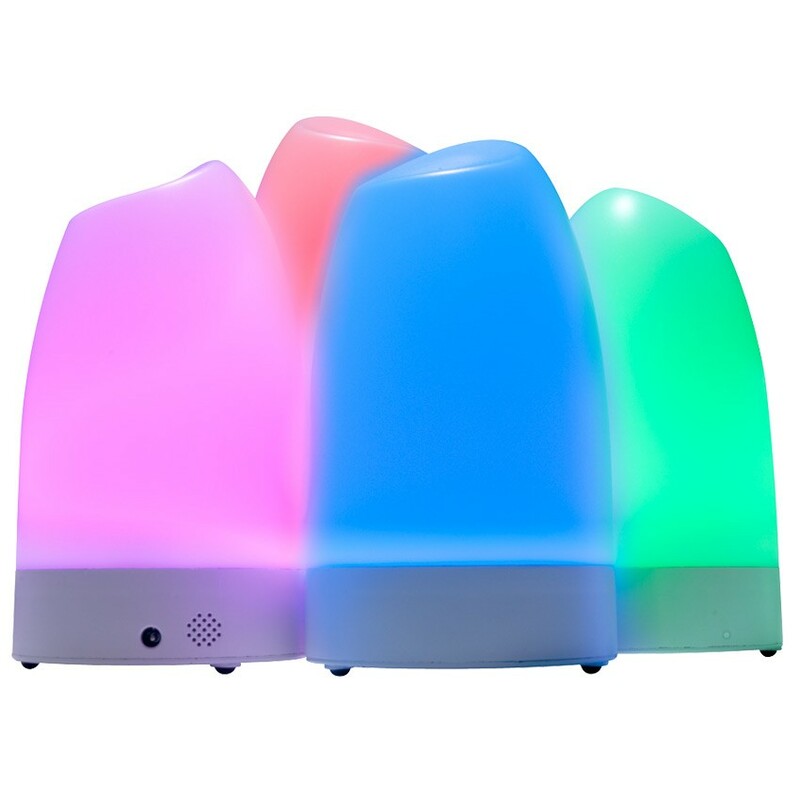 These color-changing pods feature 8 preset built-in colors and 3 selectable color fade speeds controlled by the ADJ Event-RC hand-held, wireless remote controller. Each Event Pod is powered by one half-watt RGB TRI LED. They are very easy to set-up for temporary use on tables, walkways, windows and buffet tables in retail stores, restaurants, parties and events. System Includes: • 4 x Event Pods • 4x AC Power adapters • 1x ADJ Event-RC Controller Specifications: • 8 Preset Colors; Red, Orange, Yellow, Green, Cyan, Blue, Purple or White • Perfect solution for rental, retail, events or corporate applications • 3 selectable color fade speeds from remote • Sound Active adjustment on base • Rechargeable Lithium battery included. • Long Life LEDs (Rated at approximately 50,000 hrs.) 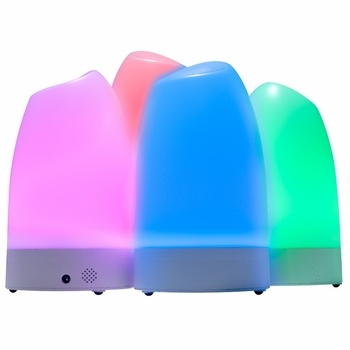 • Power Draw: 0.5W (Each Event Pod) • Includes 13 function, ADJ Event-RC remote; control up to 30 ft./ 10M • Rechargeable Lithium battery life: 5 hours full-on (with a full charge); 2 hours charge time • LED Source: 1x 0.5W RGB “TRI-Color” SMD’s (Each Event Pod) • Multi-voltage Operation: VAC 100V/60Hz - 240V/50Hz • Dimensions (LxWxH): 7” x 3.75” x 3.75”/ 173 x 95 x 95mm • Weight: 1 lbs. / 0.25 kgs. (Each Event Pod) Not IP rated (outdoor or submersible). Designed for Indoor or temporary outdoor usage.